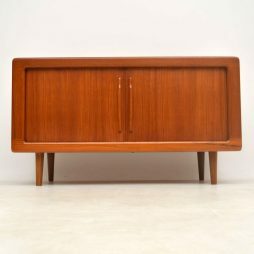 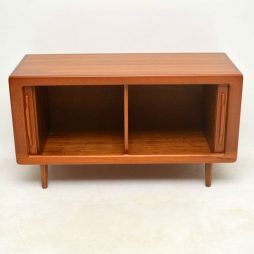 Mid-Century Sideboards | Interior Boutiques – Antiques for sale and mid century modern furniture, french furniture, antique lighting, retro furniture and danish furniture. 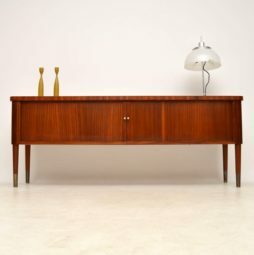 A top quality vintage Danish teak sideboard, this dates from the 1960’s. 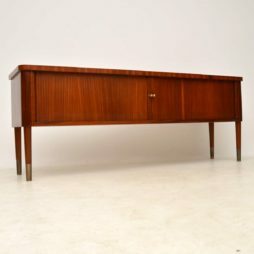 We have had it fully stripped and re-polished, the condition is superb throughout. 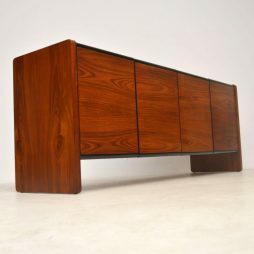 This has stunning sliding tambour doors and is a great compact size. 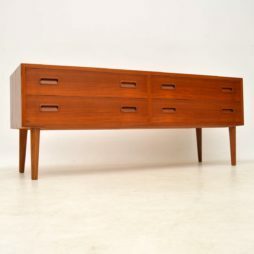 We also have another identical one available, seen listed under our other items for sale. 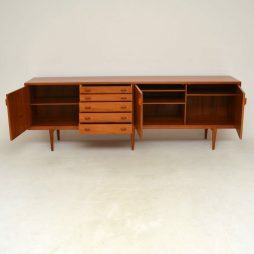 A beautiful and very well made Danish vintage sideboard, this dates from around the 1960-70’s. 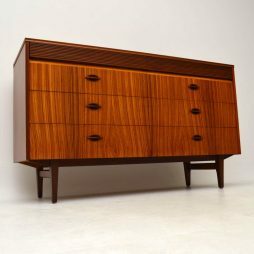 We have had this stripped and re-polished to a very high standard, the condition is superb throughout. 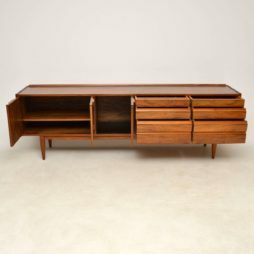 It has a lovely colour and beautiful grain patterns throughout, it’s a great size with lots of storage space. 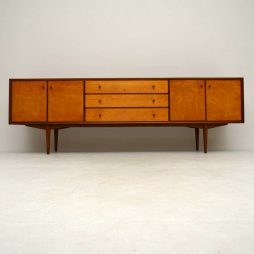 A stunning and extremely impressive vintage sideboard in Teak, this was made in Denmark, it was designed by Henry Rosengren Hansen. 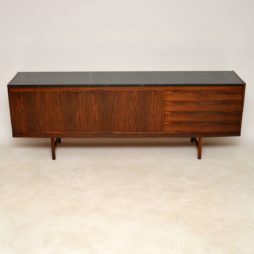 This is of the utmost quality, and this model is rarely seen on the market. 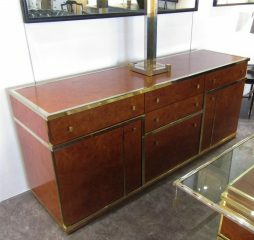 It dates from the 1960’s, we have had it stripped and re-polished, the condition is superb throughout. 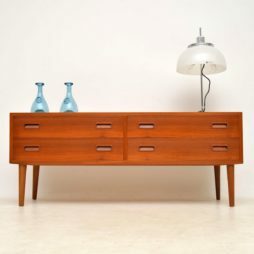 This offers lots of storage space with three spacious cabinets and a bank of drawers, the top two drawers are felt lined. 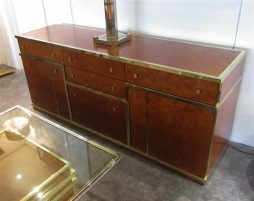 A 1970’s Brass bound and burr walnut sideboard / enfilade by Zevi of italy two cabinets with shelves to each flank with drawers above and three central drawers fitted with brass drawer and door pulls in excellent untouched original condition also a matching coffee table available. 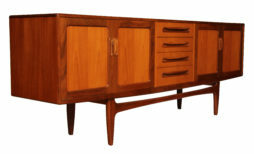 A stunning vintage sideboard dating from the 1960’s, this was made by Elliot’s of Newbury. 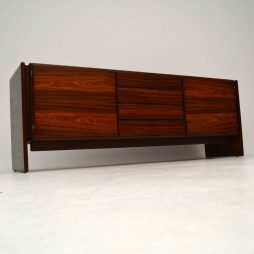 The drawer fronts are striking Zebrano wood, the top and sides are Walnut. 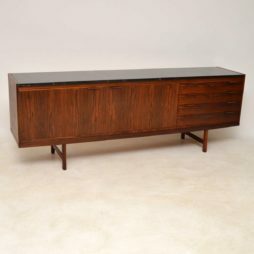 We have had this stripped and re-polished to a very high standard, the condition is superb throughout. 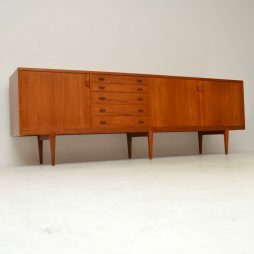 A beautiful and striking vintage sideboard, this was made in Denmark and dates from the 1960-70’s. 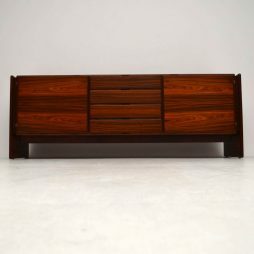 The quality is amazing, the colour and grain patterns are really beautiful. 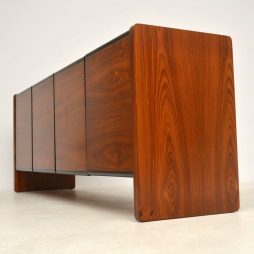 This is also very nicely finished on the back so it can be used as a free standing item. 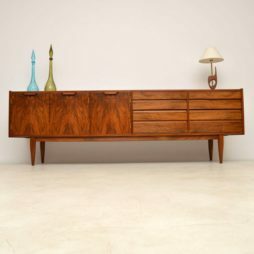 A beautiful and elegant vintage sideboard, this dates from the 1960’s. 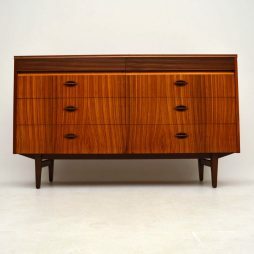 It is of superb quality, it has a Teak carcass and Satin Wood front. 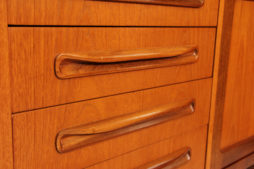 We have had this fully stripped and re-polished to a very high standard, the condition is excellent throughout. 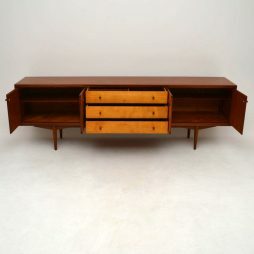 We’re not sure who designed this, but judging from the style and quality it looks like it could be a rare design by Robert Heritage or possibly Peter Hayward.